Heidan Construction specializes in designing and building room additions that flow seamlessly with the original architecture of your home. Adding extra space to your home is a wonderful way to increase its value as well as your enjoyment. Our team is specialized in reconfiguring your home to fit your needs and match your lifestyle. In our nearly twenty years of experience, we have created numerous home transformations for every type of style and budget imaginable. 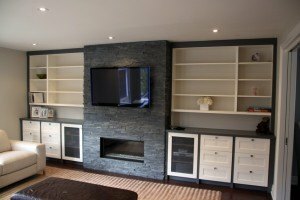 Our full-service room additions Toronto team provides a complete solution from planning the design, securing the proper city permits and completing the actual construction. With a focus on exceptional client service, our team of highly skilled professionals works in unison to ensure your project meets our strict quality standards and exceed your expectations. We are always available to answer any questions you have and will always keep you informed of the project schedule and status. As premier certified remodeling contractors, we are here to help you realize the design of your dreams and create a functional space that compliments your lifestyle. Building a room addition that structurally and visually matches your current home takes meticulous craftsmanship and dedication to quality. Make sure that your remodeling project is done correctly the first time and let Heidan Construction build you the expansion you have always envisioned. If you are considering adding a room to your home, contact our team of skilled professionals to set up a consultation. We look forward to helping you plan the perfect design concept and take you through a seamless and pleasurable process while we complete your project. You can rest assured that you will be in professional hands from your very first phone call to when we complete our final cleanup.